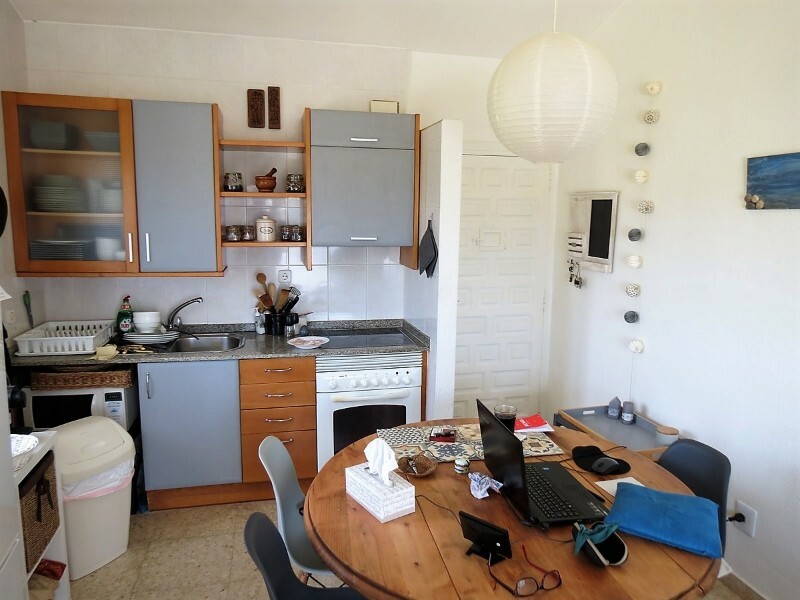 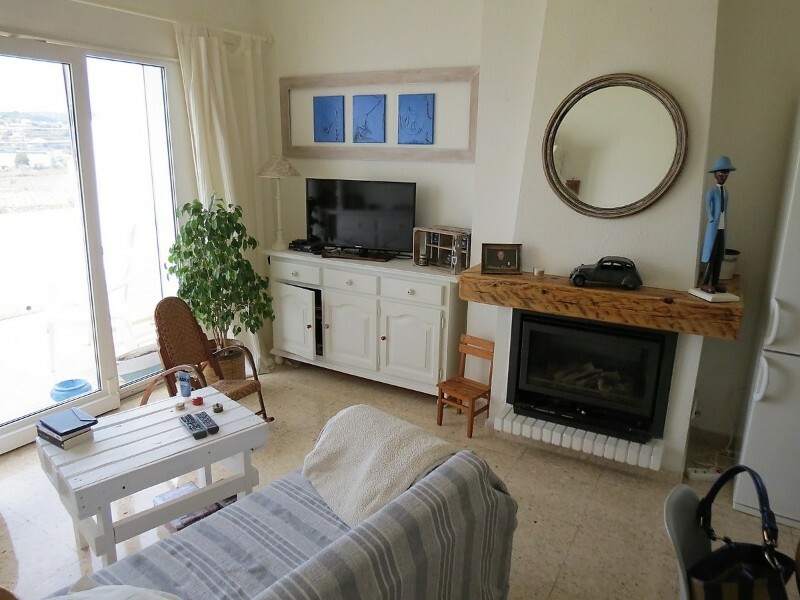 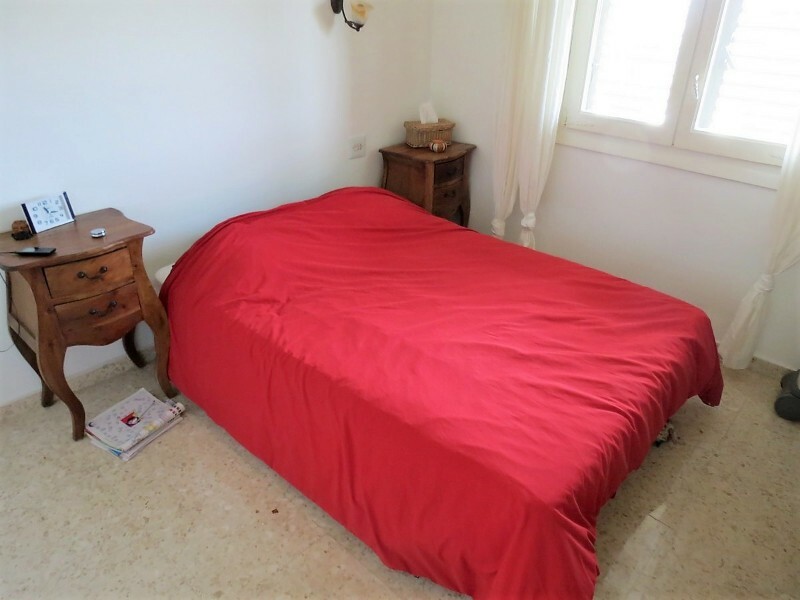 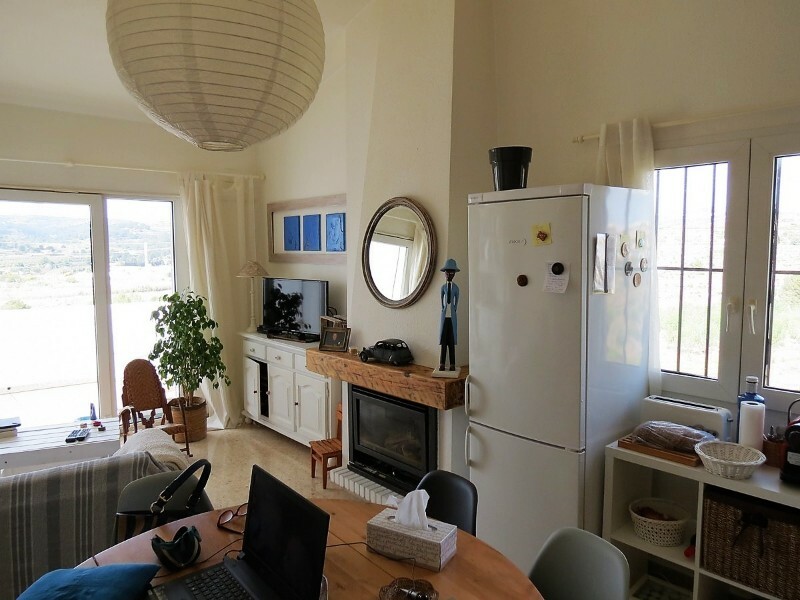 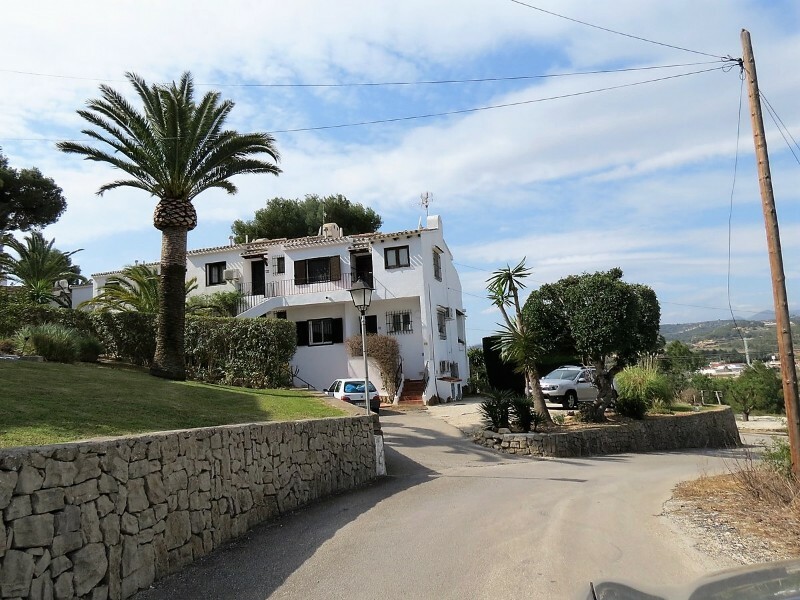 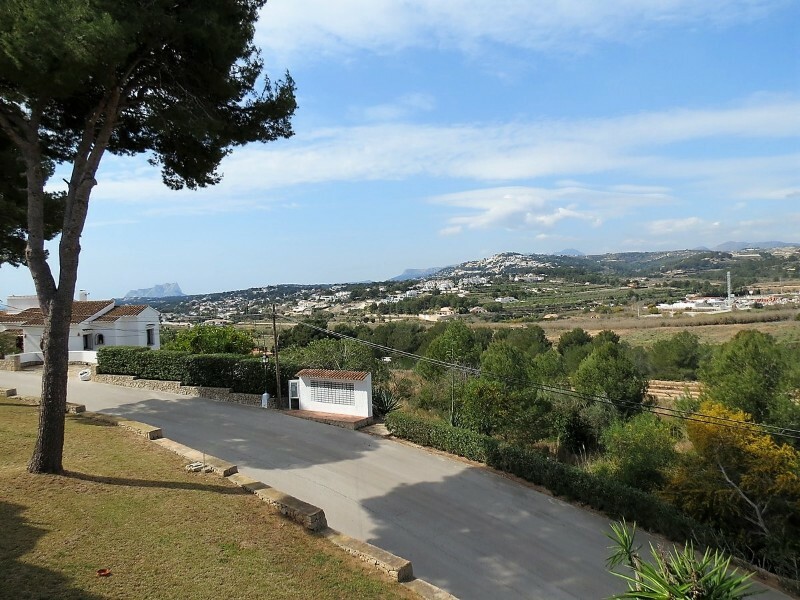 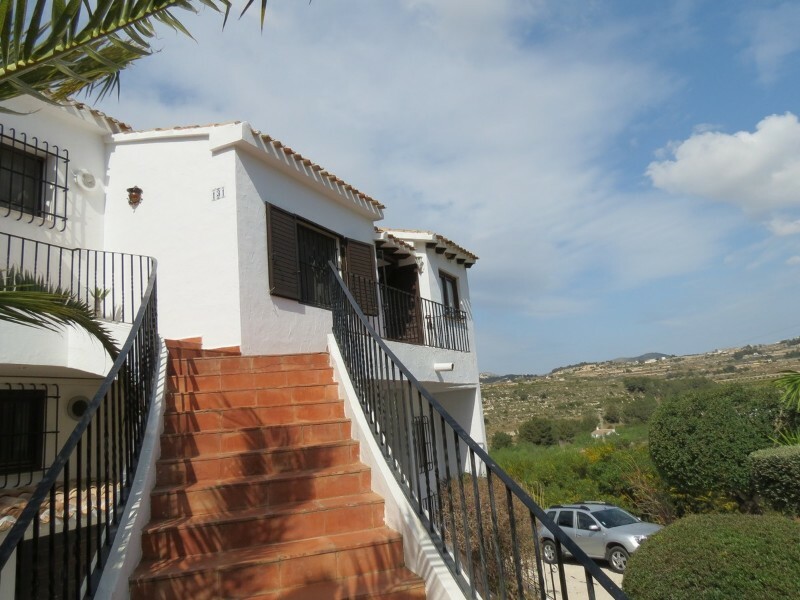 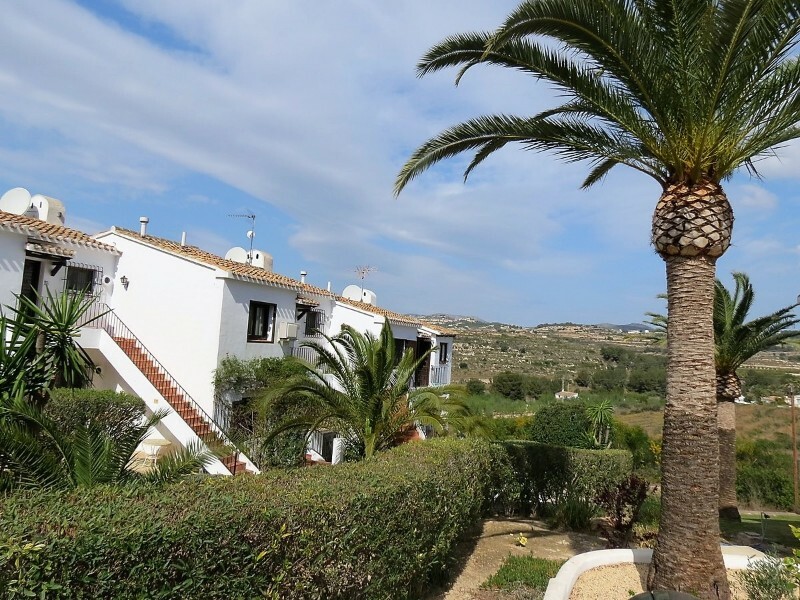 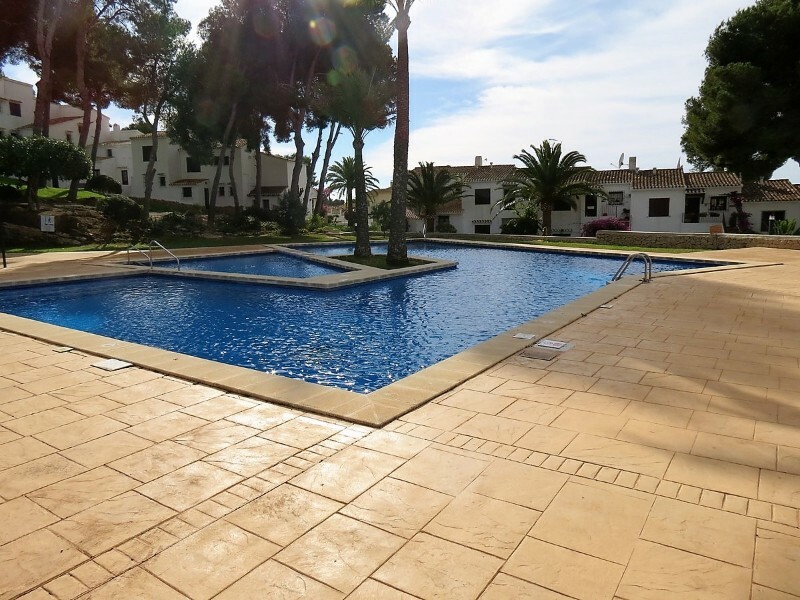 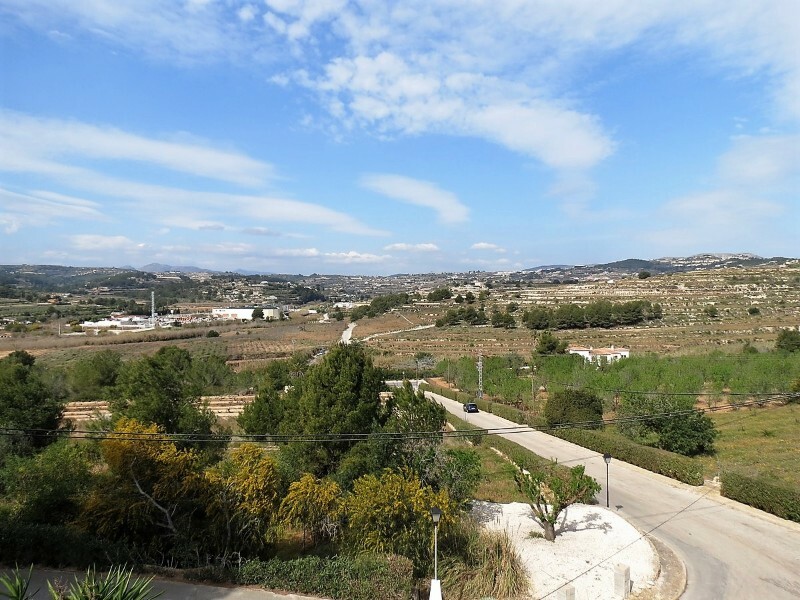 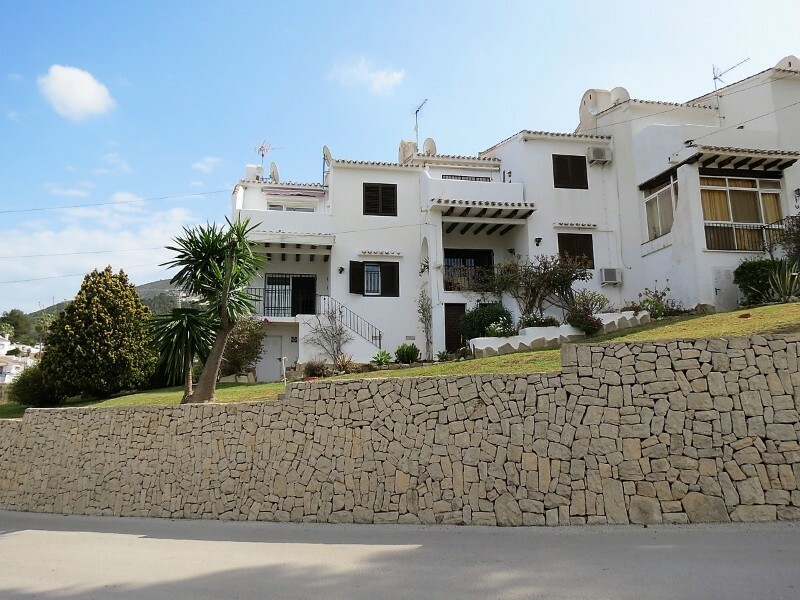 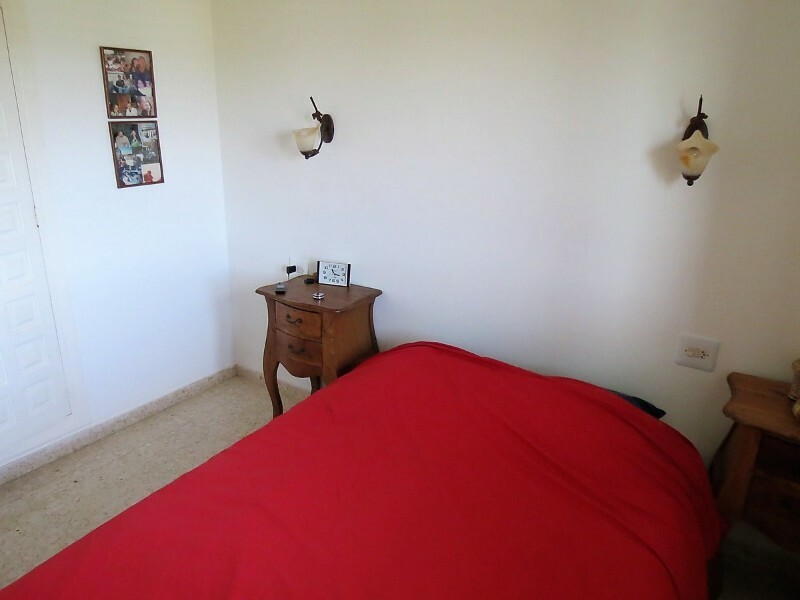 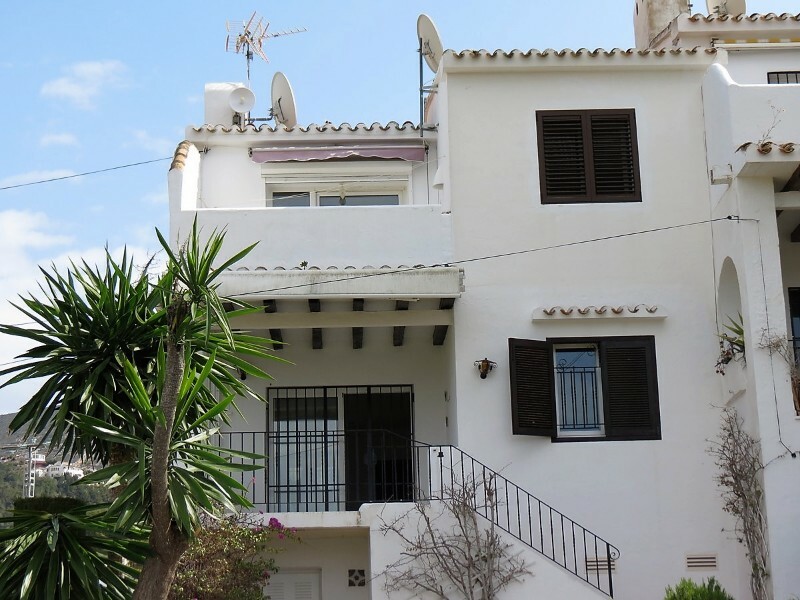 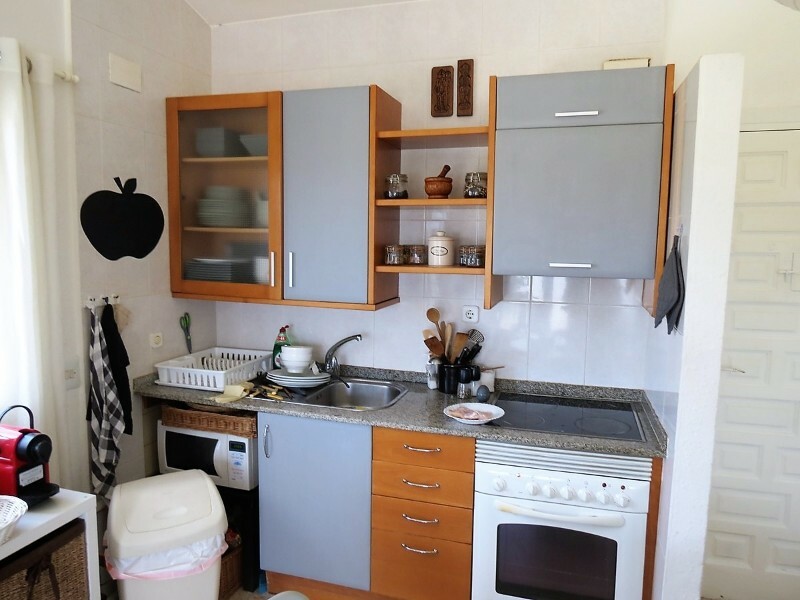 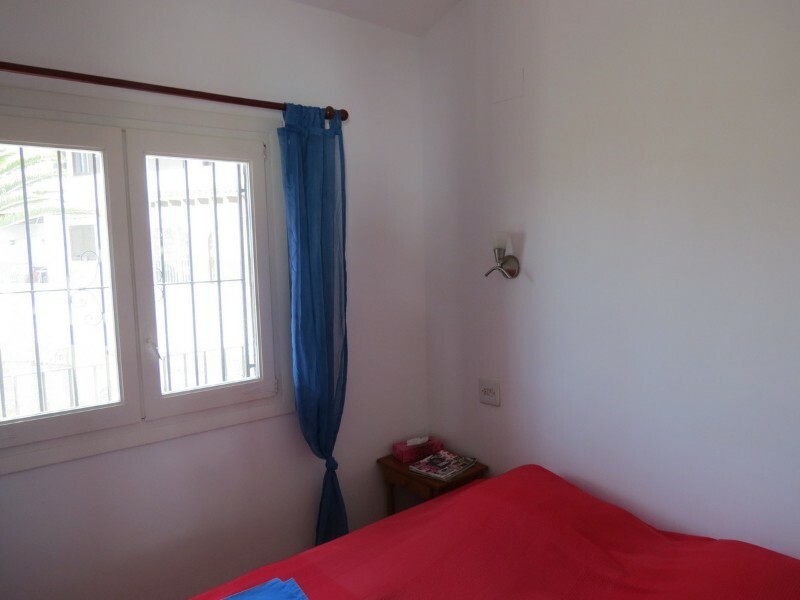 This apartment with valley and mountain views is located in the lovely El Alcasar urbanisation, 1km from a shopping centre and 3km from the beach and town centre of Moraira. 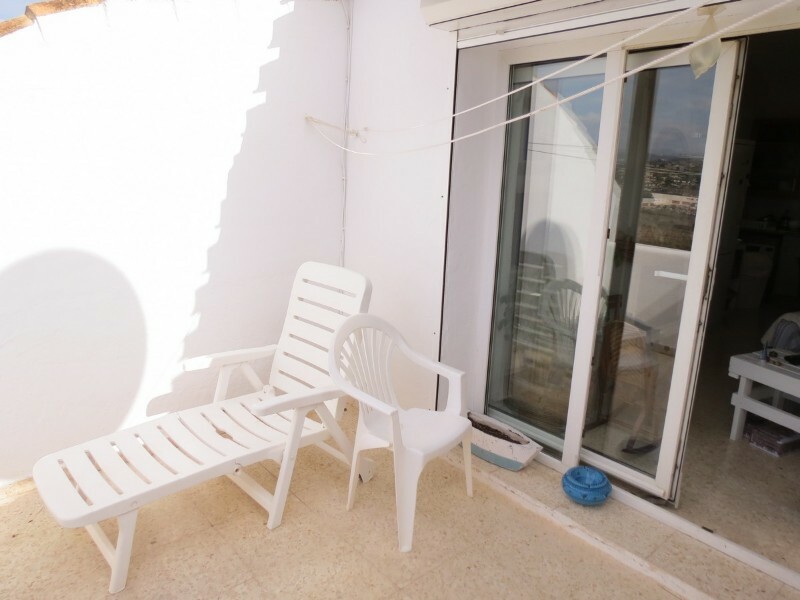 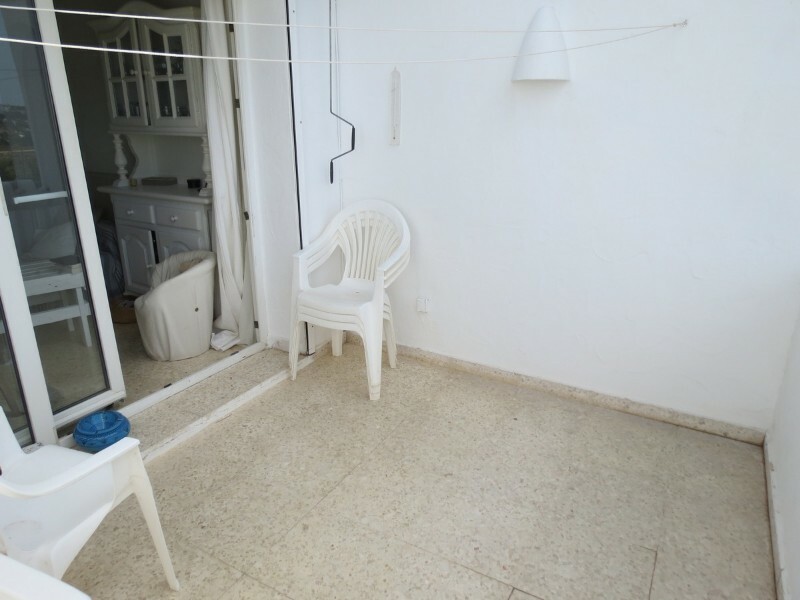 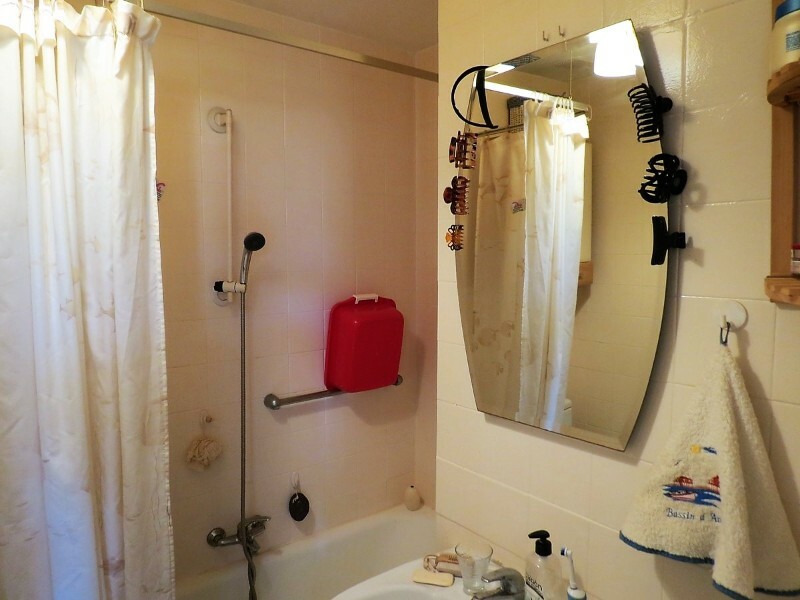 It has the best situation in the complex because it is at the top and on the corner, this is why it has such beautiful views.You approach the apartment by a few steps and then onto a small terrace, perfect for the morning sun, on the right side there is a utility/storage area. 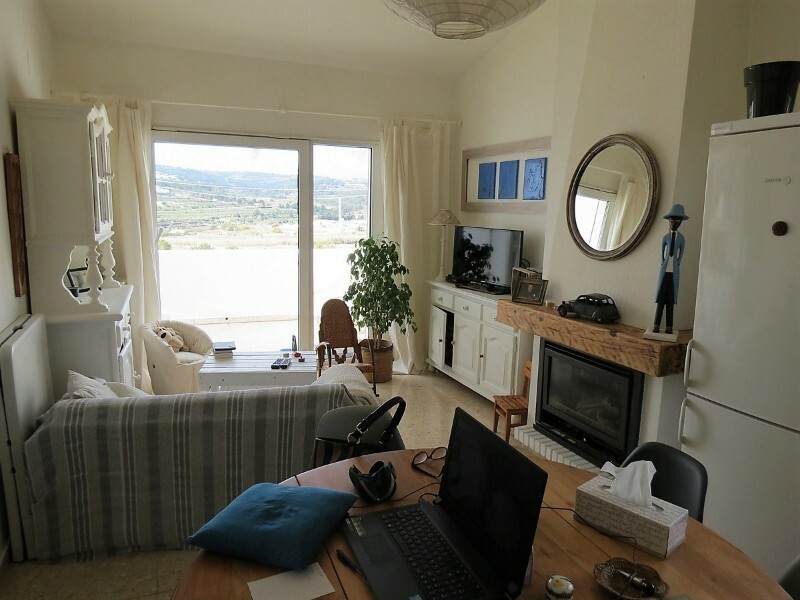 You enter into the open plan living area with the kitchen/dining area first and then the light and bright living area at the far end with a feature fireplace and glass patio doors leading out to the open terrace with lovely open views. 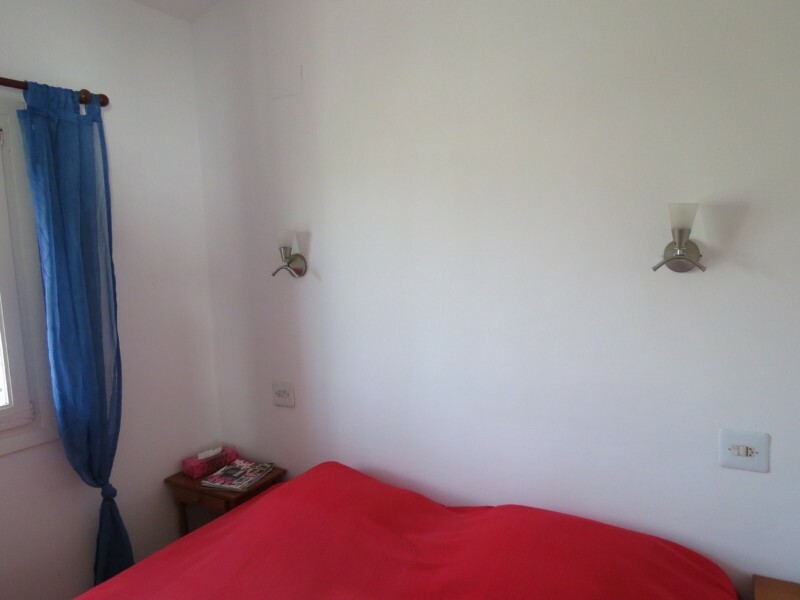 Off the living area there are two double bedrooms with built-in wardrobes separated by the family bathroom. 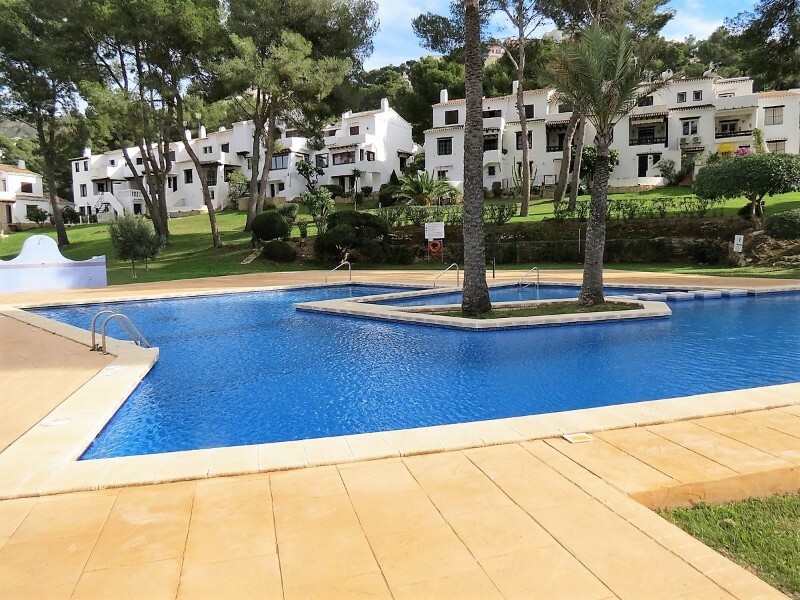 The complex is surrounded by the well kept gardens and it has an impressive communal pool and pool terrace with showers which is seldom busy.